I was never a snoozer until I married David. He inadvertently converted me to take part in his snoozing ways though and I am now quite familiar with the button. In my defense it's a rare day when I hit more than once since I am a total wannabe-tired-mom-version-of-a morning person. I truly would love to be up with the sun, or the fog, as it were here by the beach. We all know that when a baby awakes early, we don't have the luxury of "snoozing" her back to sleep for ten more minutes (too bad!). So my best tip for being successful with early mornings? Don't go it alone. That's the whole point of #hellomornings; it gives us a community of moms who are fighting the urge to stay snuggled in our beds to get up and take back the morning for the Lord, for our bodies, for our families. But even Twitter or Facebook sometimes can't get me out of bed, and sometimes when I try to pray, my mind wanders or I-- ahem-- I just fall back asleep (Tip #2: never try to have a quiet time under the covers with head on pillow! :) ). Maybe that means talking to your hubby and asking him to encourage you to get the heck out of bed if he's a morning person. Or maybe you really connect with someone in your #hellomornings group and you can text each other. Or maybe, you step out on a limb, and ask a friend, even someone you don't know very well yet, if they want to wake up early and pray together over the phone. 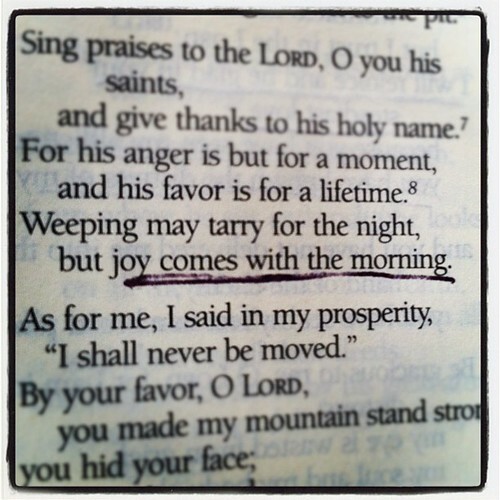 Even just a couple of times a week of early-morning prayer with someone else will be life-changing. It doesn't always go perfectly. My sweet friend has early rising little ones and there is often someone small in the background on our phone calls, or sometimes we text each other at 12:30am with an apologetic, oops, I stayed up way to late and can't do it tomorrow. There's grace of course. Waking up early for a quiet time, a bit of exercise and a little planning (ie #hellomornings) and a consistent prayer partner is an amazing recipe for day started out on the right food and a heart attitude leaning in the right direction. 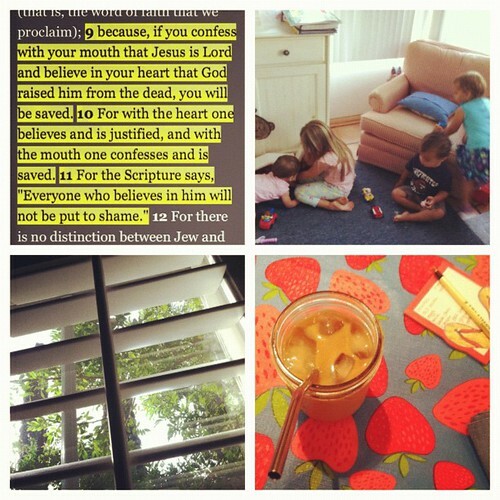 linking up over at Inspired to Action with others who have been blessed by maximizing their mornings.